Since voluntary organizational decisions are most likely made by self-interested parties, organizational decisions in an economic market are subject to explanation by (at least) two different fields of study: organizational theory and microeconomics. This paper describes initial work on economic modeling, including the modeling of voluntary organizational contracts, of a set of business entities set in the market context of the food court at an upscale suburban mall, the Virtual Food Court. DECAF is an multi-agent toolkit that provides this effort with a GUI to easily establish the control mechanisms needed to express exchanges between participants and the operatingsy stem features to perform the message sendinga nd receivingtha t models the actual transactions. 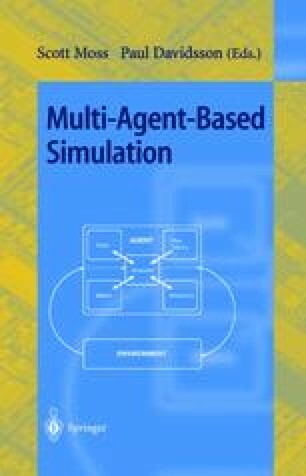 DECAF provides high-level language support and pre-built middle-agents for buildingm ulti-agent systems. This approach helps researchers or students get to the “interesting” parts of a simulation more quickly. This work was supported by the National Science Foundation under grant IIS-9733004.